San Diego Mayor Bob Filner has agreed to resign as part of a deal reached this week with city officials, NBC 7 News has learned. Filner, spotted leaving City Hall with packing boxes Wednesday night, will formally vacate the office following a closed session of City Council Friday, according to several sources. City officials announced just before 7 p.m. Wednesday a proposed solution had been reached in the scandal that has consumed the city of San Diego since it first broke July 10. In the last six weeks, more than a dozen women have come forward with tales of alleged sexual harassment and unwanted sexual advances. Filner has admitted to disrespecting and at times intimidating women, saying that he needed help. He announced he would enter a treatment program for an undisclosed disorder or illness. At issue in the mediation talks was the possibility of Filner's agreeing to resign in exchange for the City Council agreeing to pay some of his legal fees and potential damages in the sexual harassment lawsuit filed against him by Irene McCormack Jackson, his former director of communications. The end of the mediation came late Wednesday afternoon after three days of closed-door negotiations between Filner, his three attorneys, City Atty. Jan Goldsmith and two City Council members. Mediation was overseen by retired federal Judge J. Lawrence Irving, who donated his time. The council will vote on the deal in closed session Friday. 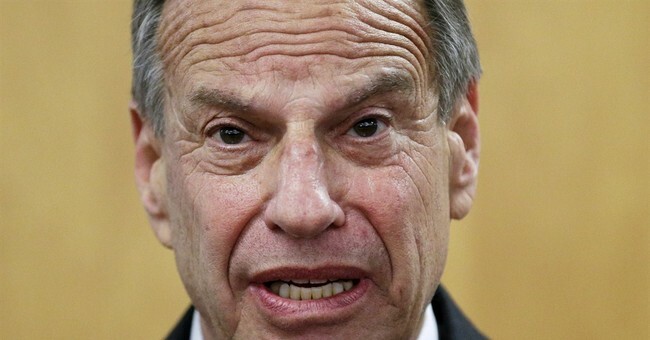 Filner has admitted to disrespecting and at times intimidating women, saying that he needed help. He announced he would enter a treatment program for an undisclosed disorder or illness. Under investigation for alleged “pay to play” schemes with developers, Filner disappeared from public view for three weeks and surfaced Monday in time for a mediation session with city officials. How many accusers would it take for women to be able to file a class action lawsuit against Bob Filner?